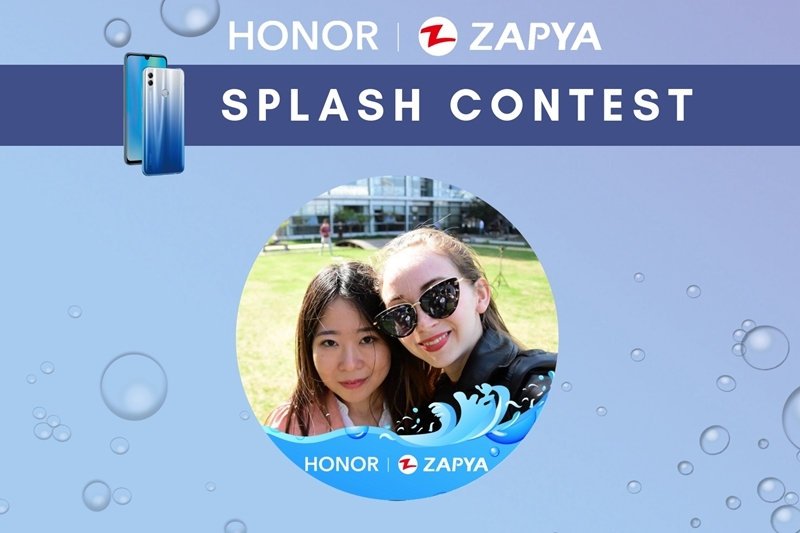 From December 12th to December 20th, Honor partnered with Zapya for the Splash Contest. Users had the chance to win the new Honor 10 Lite if they submitted a photo that used the event’s filter on Facebook. Almost five hundred people submitted their photos before the submission deadline. On December 17th, the Zapya team announced the top ten photos. Originally, the requirements to participate in the contest was that the users had to submit a selfie that used the Facebook filter. A majority of the photos that were submitted were not selfies, were linked to fake accounts, or the image was unclear. Due to this, the Zapya team had to consider photos that were not selfies and randomly selected the top ten from the remaining photos. Once the top ten photos were announced, users had the chance to vote to decide who had the best photo. A photo album that contained the top ten photos was created on Facebook and users voted by liking their favorite photo. Over two thousand people participated in the voting process in order to decide the winners of the contest. The final voting number was based off of the Facebook like count at midnight on December 20th. 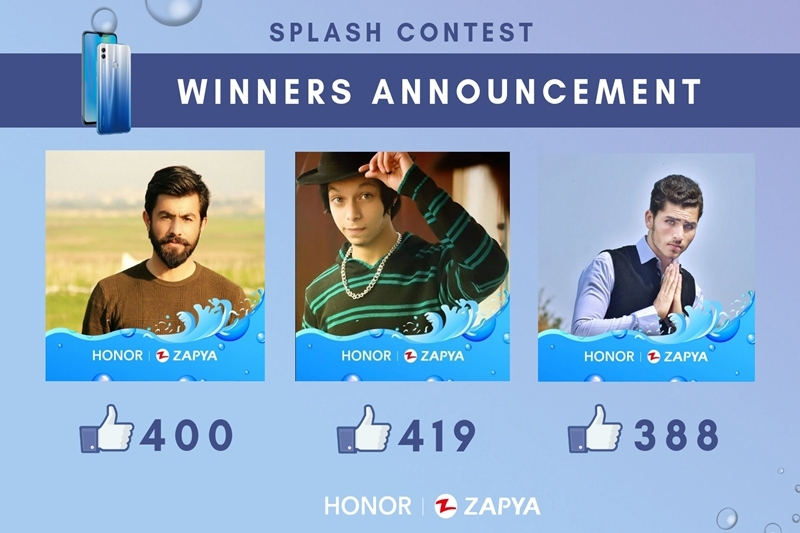 The top three photos won the new Honor 10 Lite awhile the other seven photos will receive a special gift from the Zapya. Once the winners have received their gifts, we will post photos of them. 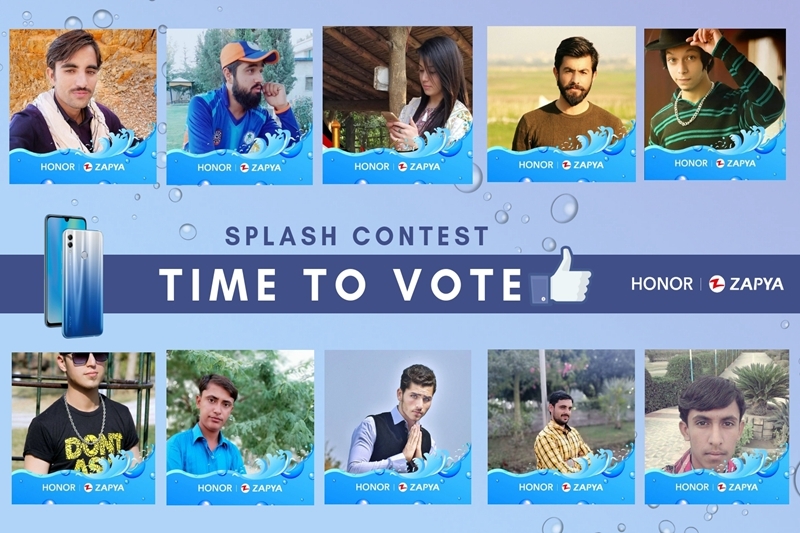 We would like to thank everyone who participated in our Splash Contest. You guys are awesome and we hope that you will participate in our next contest!